Beginner's Guide to Palladium: What Are the Risks and Rewards of Choosing It as an Investment Vehicle? As the economy gets worse, unemployment climbs, and fuel and food prices soar, investors are scrambling to find new investment vehicles to add to their holdings as a hedge against further losses. The steady increase of gold prices and the popularity of gold investments has thrown an increased focus on all bullion products, and there are those experts who are positioning palladium as an inexpensive way for investors to enter into precious metals investing. However, comparing palladium to other bullion products such as gold and silver is problematic because the price of palladium is affected by fluctuations in the industrial industry whereas the price of these other precious metals is not. In other words, when the automotive industries' demand decreases, so does the price of palladium. For that reasons, the risks and rewards of incorporating this into your investment portfolio must be weighed more carefully. Here's an insider's advice on the pros and cons of this investment strategy. The founder of BullionSupermarket.com, Jon Hunt, has a background in computer software. According to Hunt, The Bullion Supermarket is the web's largest dedicated price comparison service for precious metal products. Hunt utilized his software knowledge to create tools for himself to find good value for physical gold and silver in online marketplaces, and he offers his price comparison service and expertise to users via his website. While users can always use his service at no charge, there is an on-site option for registration. By registering, users gain access to a wider range of tools and resources. Bright Hub (BH): What is palladium? Jon Hunt (JH): Palladium is a dense silvery white metal that is a member of what are commonly known as “Platinum Group Metals,” often abbreviated as PGM. BH: What is it used for? JH: Palladium is most commonly used alongside its more expensive sister metal, platinum, in catalytic converter technology within the automotive and the wider industrial catalyst applications. Palladium is also now finding its way into some jewelry applications such as rings, where platinum has become too expensive, though its primary use remains firmly industrial. BH: How does the price of palladium move? JH: The price of palladium in recent years consistently tracked below that of platinum. It is currently around a third of the price of platinum. Both metals have similar industrial uses in catalytic converter technology and as such share a similar supply demand equation. Both metals saw sharp sell offs after the 2008 financial crisis, from which platinum has yet to recover fully. Palladium, however, has surpassed its pre-crisis level. BH: What factors affect its price? JH: Palladium is very much more an industrial metal than gold, or even silver, and as such, anyone looking to diversify a precious metals portfolio into palladium needs to be aware of this. BH: In your opinion, how risky is palladium as an investment vehicle? JH: Its status as an industrial metal is a key reason that palladium (and other PGM metal) prices have suffered recently. The renewed threat of an economic downturn here in the west has been perceived by the market to reduce industrial and automotive demand for PGM's. Growth in demand for cars and catalysts in developing economies could bolster demand and support prices going forward. 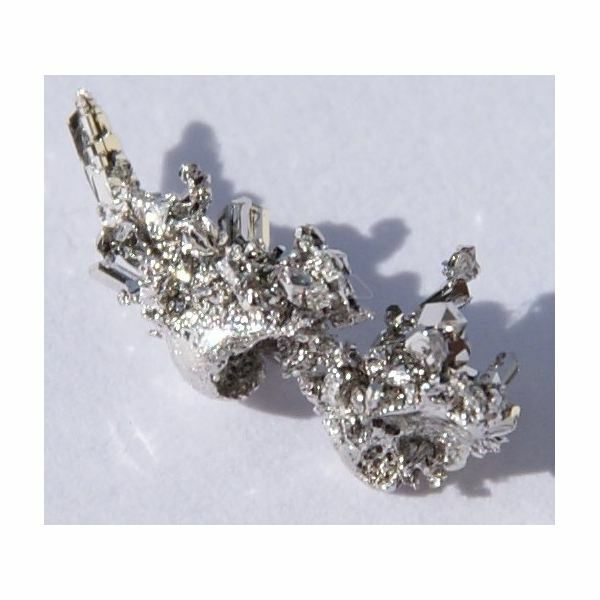 While palladium demand has been lifted by new technology allowing it to be used as an alternative to more expensive catalytic metals, there is a risk that advances in catalyst technology in the future might change the demand fundamentals again. BH: Would you or do you recommend it to your clients? JH: As a diversification of an existing Precious Metal Portfolio, palladium might offer a way to hedge against traditional gold and silver holdings, which may not do so well when and if the economy recovers. However, as a standalone investment, palladium might not make as much sense as gold or even silver, at least given the current outlook. The industrial factors driving palladium’s price can make for a bumpy ride; for example, between the year 2000 and 2003, palladium fell from $1,000 per ounce to $200. Today it is yet to surpass its year 2000 peak. BH: What are the most common ways to invest in palladium? JH: Palladium bullion is available in the same forms as other precious metals, i.e. bars and coins. However, the number of minted palladium products is far less than other precious metals, and hence can be a little more difficult to find. Some major bullion coin producers do mint palladium versions of their coins. The Canadian Maple Leaf for example, which is famously minted in gold, silver and platinum, is also produced in a palladium version. PAMP, a respected refiner and producer of precious metal bars, also produces palladium ingots, as do Baird of London and others. There are also a growing number of ETF products and allocated storage services for palladium as there are with gold and silver. BH: Many “experts” are touting palladium as a cheap alternative for individuals who want to invest in precious metals. Do you agree with that position and why or why not? JH: Our view is that it because its price is so dependent on industrial factors, while it may make a useful diversification of an existing precious metal portfolio, it might not make such as good alternative to more “monetary” precious metals like gold. BH: Why do you think there is such an increase in the popularity and awareness of palladium? JH: There is a growing interest in all precious metals generally. Palladium will benefit from this rising tide. It also is not hurt by its relative cheapness in relation to platinum and gold. Much like silver, it can be seen as a cheaper more accessible way to own precious metals. We value our reader's feedback because it helps us fine tune our product and offer our audience the finest reading experience on the web. Please help us by sharing your opinions in the comments section below. Have you considered investing in any precious metals such as gold, silver, platinum or palladium? If so, what prompted your decision? if not, what are your reasons for deciding against this type of investment? We are eager to learn more from your experience!